Following the steps of Toyota, Honda also announces its plan of making batteries and electric motors in China next year, so as to reduce the costs of hybrid vehicles and boost the sales of hybrid vehicles. Honda China’s chief Seiji Kuraishi said during an interview that it’s difficult to reduce costs by importing electric motors and batteries, and local production is a feasible way. Honda wants to make batteries together with other suppliers in Guangzhou. The electric motors will be made by Honda’s joint venture. 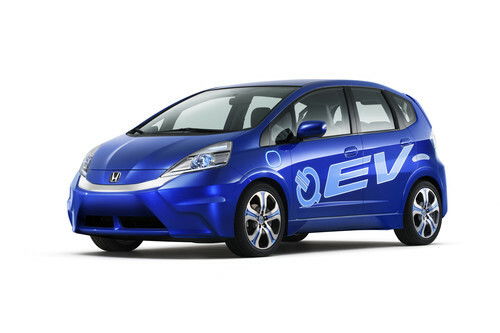 Honda also plans to launch five hybrid models next year, i.e. Insight, CR-Z, Fit, Civic, and Acura. Seiji Kuraishi believes hybrid vehicles and plug-in hybrid vehicles are the effective solutions for the existing infrastructure in place in China. In order to guarantee Honda’s long-term development in China, its two joint ventures are pushing forward their capacity expansion plans. Guangqi Honda plans to increase its capacity to 480,000 units in the second half of this year, while Dongfeng Honda plans to raise its capacity to 360,000 units by 2013 and add another 120,000 units afterwards.